Orin provides comprehensive financial planning, specializing in retirement planning, equity compensation for high-tech and biotech executives (stock options, restricted stock, etc. ), strategies for professional athletes, estate planning and charitable giving. 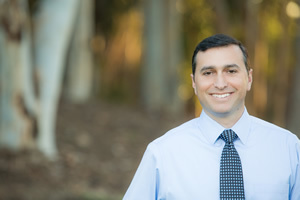 A native San Diegan, Orin enjoys spending time with his wife Liora and their four children: Uriel, Eyal, Merav, and Dalia. He enjoys hiking, surfing, and racquetball, and is an avid reader. He is involved with a number of non-profit boards, focusing on planned giving and endowment building.